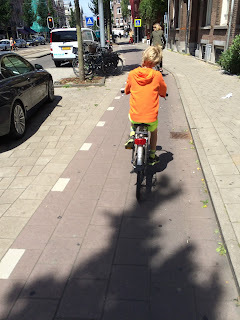 My family recently returned from a trip to Amsterdam, where we got to try out cycling in one of the most bicycle-friendly cities in the world. When we exited the train station, we were greeted by a multi-story parking garage clogged with more than 3,000 bikes, a now famous landmark in Amsterdam, reflecting how predominant cycling is here. 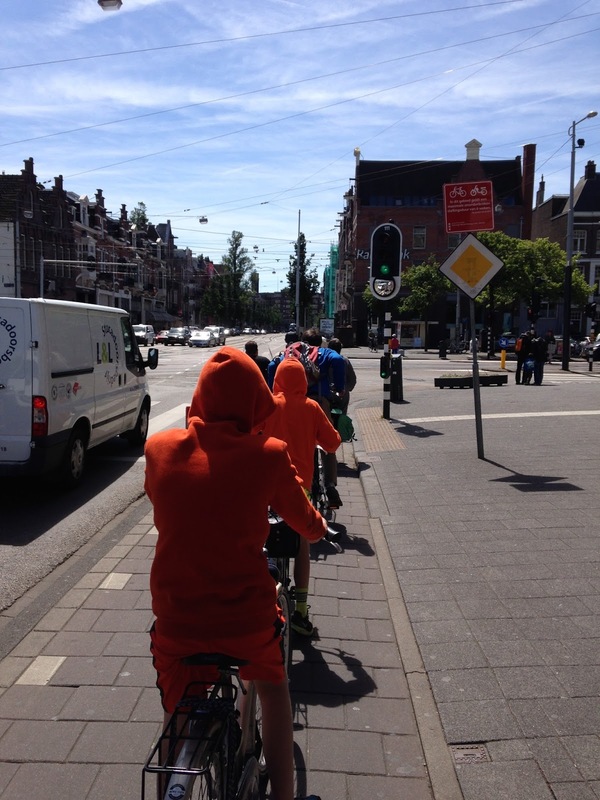 Approximately 38% of all trips in Amsterdam are by bike compared to 2-3% in Austin. I have been reading up about how these infrastructure changes came about. This video chronicles Amsterdam's history as a cycling city, pointing out that Amsterdam has not always embraced cycling like it does today. In the 1970s, after a record number of children were killed on Dutch roads, Dutch parents and their children led mass protests and organized around the country, demanding a transportation policy that prioritized safe streets. While much attention has been given to how this fierce activism helped launch the construction of the nation's world-famous cycling infrastructure, families across the Netherlands worked for much more than that. A wonderful documentary from 1972 captures how Dutch families have taken to the streets for a whole range of measures to make streets safer for children in dense urban areas. The Dutch government responded by creating play streets, "street corner havens," car-free Sundays, and an array of other traffic calming measures. 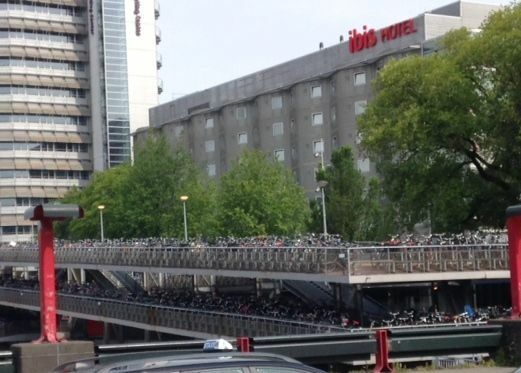 One of Amsterdam's biggest infrastructure challenges today is, ironically, addressing the deluge of bikes that fill the streets. Before our trip, a Dutch friend had warned us to not cycle in Amsterdam with children in the busy urban core unless they were super experienced urban cyclists. It is true that making the jump to cycling in Amsterdam for my family was, well, terrifying at times. Sort of like going from driving a car in a small town to an L.A. freeway. My preteen children had to learn on the fly that they could absolutely not stop, much less slow down, while we were cycling in rush hour cycling traffic. And this was while cycling without helmets (no one wears them in Amsterdam and they were unavailable at the bike rental shop). 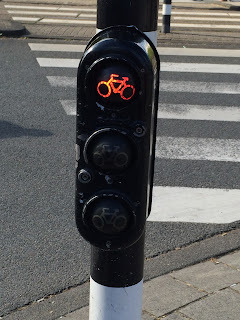 The worst part was avoiding the speeding mopeds that weaved in and out of cyclists in the cycle lanes—apparently a widespread problem in the city. Luckily, it sounds like the government recognizes this is an issue and is working to ban mopeds in cycle paths. Speeding mopeds and rush hour traffic aside, overall we were extremely impressed with Amsterdam's cycling infrastructure—an incredible opportunity to try out in person what we can aspire to here in Austin. The dedicated cycle lanes, the cycle-centric street crossings, the traffic lights for bikes, the ubiquitous bike parking facilities, and more. All these things were a delight to see in person. Today, the Netherlands' traffic fatality rate is 60% lower than it was when parents and others first set out to advocate for safer streets. Meanwhile, Austin's traffic fatalities are on track to be a record high this year. It is good to keep in mind the experiences of the Netherlands in making its street safer: that changes are more than possible, but they will not come about until the public demands them. Cyclists even have their own lights!